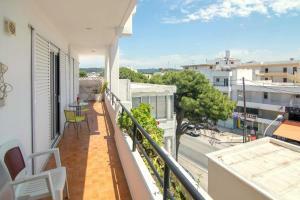 Just 1,650 feet from the sea, Ifigenia's Apartment is centrally located in Ialyssos. A card with 8 GB internet is available, while public internet is also provided. 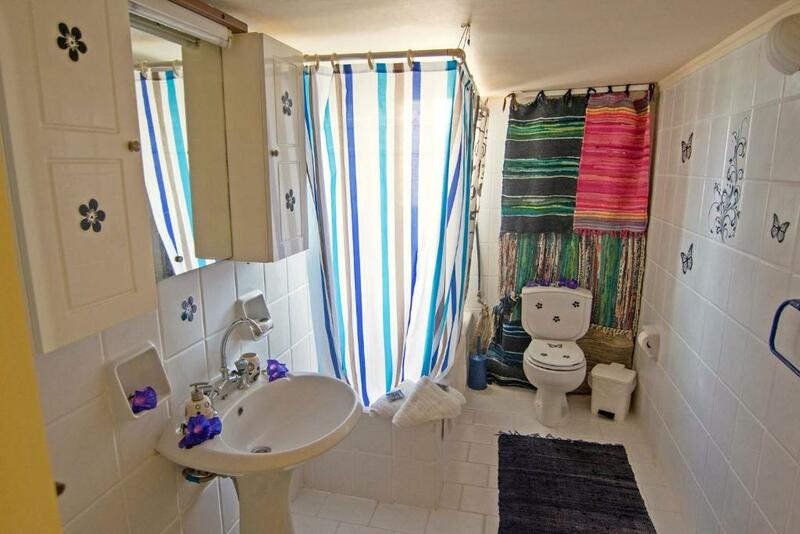 The kitchen has a microwave and there is a private bathroom. 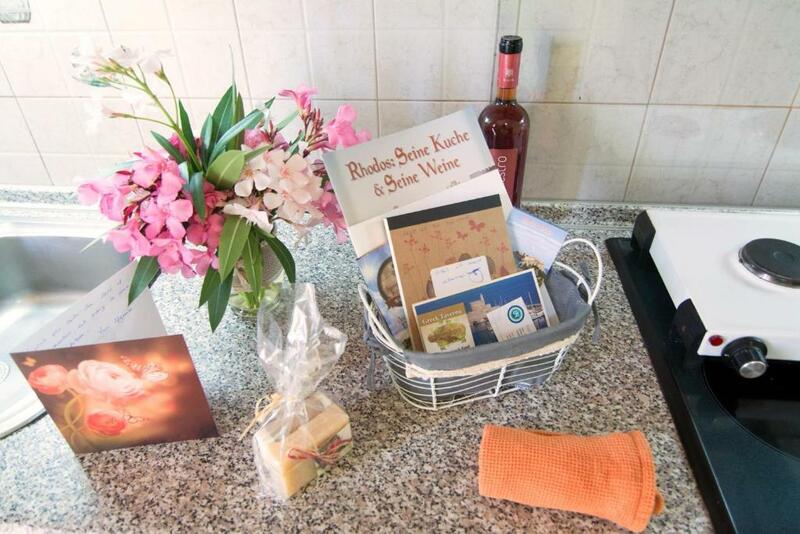 Towels and bed linen are provided at Ifigenia's Apartment. Other facilities include air-conditioning and net screens. Rhodes International Airport is 3.7 mi from the property. 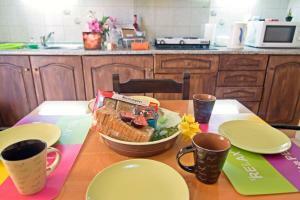 When would you like to stay at Ifigenia's Apartment? 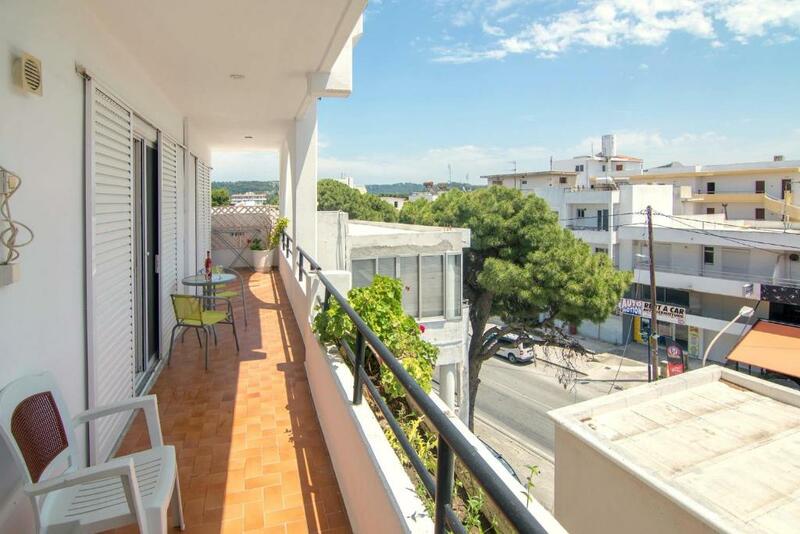 This delightful, central apartment is located in the sea-side city of Ialyssos, on the main road near to the beach, restaurants, cafes, bars & market center! Only 7 km from the airport, your accommodation is simple & comfortable on the 3rd floor (with elevator) with a very nice, large balcony where you can watch Filerimos mountain as you drink your coffee, enjoy your meal or relax. The City of Rhodes is only 7 km away and very easy to reach using public bus, rented car or taxi from the local station right under the building. Everything is within walking distance. The Ialyssos beach is only 500m away. The shopping mall is next door to you. The bedrooms are with air-condition and the windows with net screens. Wi fi we offer with card 8 GB , and also there is public internet available. I have been a Yoga teacher for the past 20 years, and offer many teachings as well as Yoga and Meditation retreats. 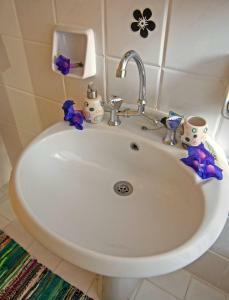 I offer my apartment to visiting guests to enjoy all of the beauty Ialyssos has to offer. I live in the area and I am around to answer any questions you have. Ialyssos offers a wonderful combination of history and modernity as it is known for many famous ancient landmarks, dating back to the 5th century, located in Filermios mountain which houses the incredible Byzantine Church. The mountains are inside the forest, suitable for any nature lover or adventure seeker. 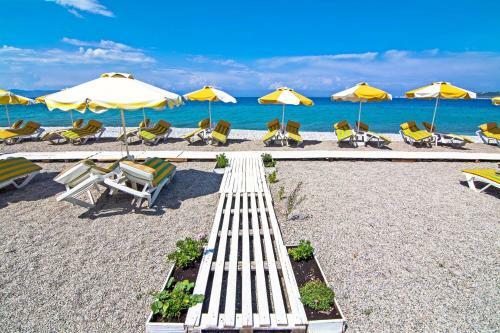 In addition Ialyssos is also home to some of the best restaurants and bars in Rhodes, providing both a lively, yet relaxing nightly atmosphere. Here, we have extraordinary dining experiences available, as the cuisine offered throughout the town ranges from traditional Greek to Cantonese to Italian. There are also cocktail bars with swimming pools, allowing you to drink a cocktail or coffee while enjoying the blue, cool water. Public playgrounds are also scattered throughout the town, so all age groups can expect an interesting adventure. Ialyssos is very safe with no crime, making your stay here all the more desirable and enjoyable, as it is just as safe for children as is for adults. A great family vacation. 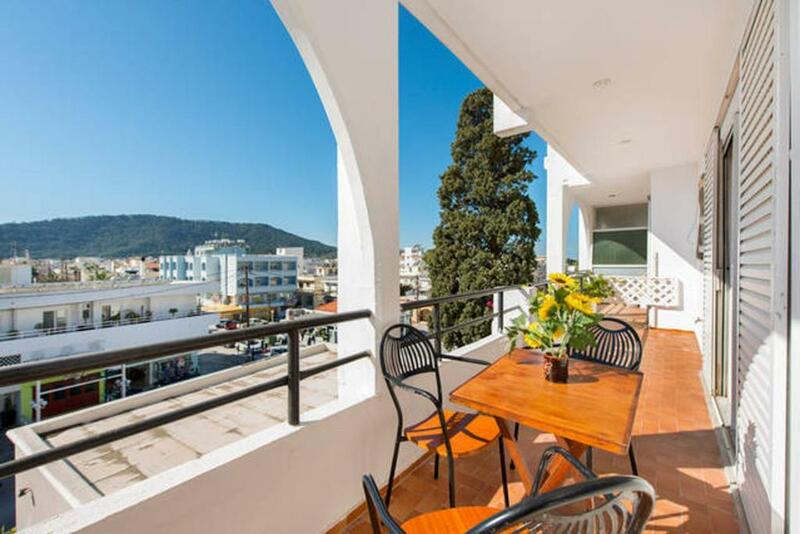 It is very easy to get around Ialyssos to experience all the history, fun and beauty it has to offer, as the transportation system is inexpensive and efficient. House Rules Ifigenia's Apartment takes special requests – add in the next step! Please inform Ifigenia's Apartment of your expected arrival time in advance. You can use the Special Requests box when booking, or contact the property directly using the contact details in your confirmation. We need at least 5 reviews before we can calculate a review score. If you book and review your stay, you can help Ifigenia's Apartment meet this goal.